For most things you need go no further that Churchstoke Shopping Centre just 2 miles along the road from Daisy Bank. Here you will find a good sized CO-OP, butchers, Post Office, and Petrol Ststion. There is also Claire Austins Plant Centre, M and Co, hairdresser, pound store and a café. Bishops Castle, has a small but very good CO-OP, a Butcher, hairdressers and some independent retailers. 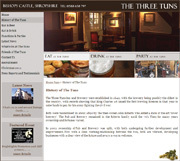 Bishops Castle is also home to 2 micro Brewerys in The Threes Tuns and The Six Bells, as well as Tescos, Sainsburys, Morrisons and Aldi can be found in Welshpool. Tesco, Morrisons, Iceland and Lidl are in Newtown. The Three Tuns, Bishops Castle. Traditional brewery, restaurant and cosy bars. 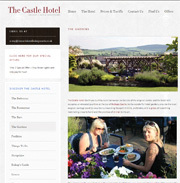 Castle Hotel, restaurant and gardens with views over Bishops Castle. The Boars Head, Bishops Castle. Friendly, olde worlde pub with great menu. The Six Bells, Bishops Castle, brews fine beers, serves good food. 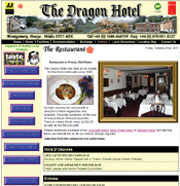 You’ll also find details of Fish & Chip, Balti, and Chinese restaurants in our information hut. A local taxi is available, Ros Gromov: 07551825931/2. Fishing is available along the River Severn and its tributaries between Newtown and Welshpool. The Montgomery Canal is also popular and requires a club fishing permit. Coarse fishing lakes are listed on the Welshpool website. The park’s location between Bishops Castle, Shropshire and Churchstoke in mid Wales is ideal for touring the Shropshire Hills, ‘March’ towns along the Wales border, ancient castles and quaint villages. The Welsh coast is just an hour’s drive. Click the links for more about touring Shropshire and Wales. Heather clad Shropshire hills rise behind Daisy Bank onto plateaus and rocky crags, rewarding walkers with many wildlife habitats and views across the Shropshire plain. The Stiperstones outcrop includes The Devil’s Chair, Nipstone Rock and Mytton Dingle. The Long Mynd is usually reached from Carding Mill Valley (NT), Three main walking routes are near to Daisy Bank, The Shropshire Way, Kerry Ridgeway and Offa’s Dyke Path. Rural towns and hamlets nestle in the valleys around the touring park, their castles evidence of turbulence along the Wales – Shropshire border. Festivals and country fairs are a feature of the area. Bishops Castle is an attractive hillside market town with local breweries, many inns and curios. Church Stretton, like Clun and Bishops Castle, is a centre for walking routes. Further afield, Ironbridge, tells of the industrial revolution through its magnificent River Severn bridge and museums. Ludlow’s annual food festival adds to its reputation for dining and shopping. It has an impressive castle and riverside. ‘Marches’ are market towns along the Wales border. Montgomery is a ‘step back in time’ with traditional shops overlooked by a ruined castle. Welshpool is a lively centre where the Montgomery canal, coastal roads and railway all meet. Powys Castle and its magnificent gardens can be reached from the town centre. Welshpool is also the terminus of the Llanfair steam railway, a scenic 16 mile trip. In the town, you can watch colourful narrow boats along the canalside walk and visit the Powysland museum. Bishop’s Castle and Clun are excellent centres for exploring the unspoilt hill country of the area – most of it in the Shropshire Hills Area of Outstanding Natural Beauty.Well way marked paths go through many of the hillside and valley villages of the Rivers Clun and Upper Onny, making walking straight from the towns and villages a real pleasure. Both towns are on Shropshire Way, a short distance from the Offa’s Dyke Path, a national trail, and near the pre-bronze age Kerry Ridgeway. ).